There is no doubt that the next edition of Les Voiles de St. Barth Richard Mille, which takes place 12 – 14 April 2019, will have a special flair. François Tolède, Luc Poupon and their team have naturally worked hard to ensure that this anniversary edition of the event is above and beyond exceptional. ‘We look forward to making it a success despite the effects of Irma, which took its toll on the Antilles in September 2017. 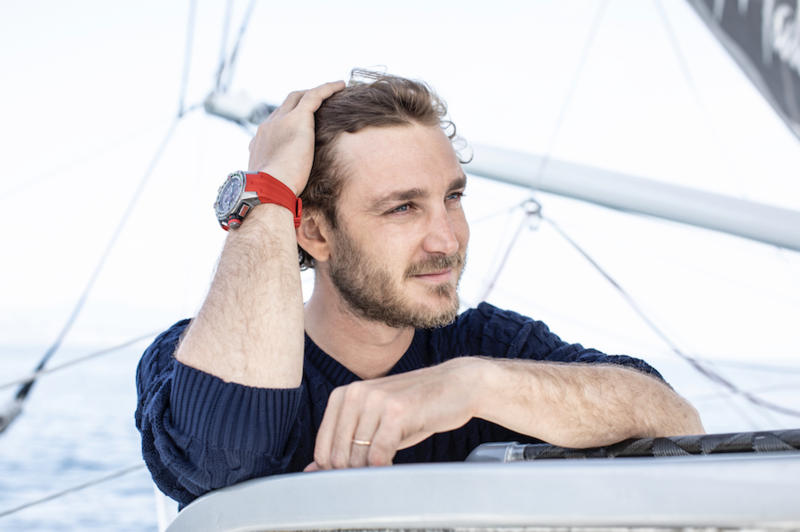 We hope to welcome 80 crews, and we are optimistic about reaching this goal, with some 50 preregistrations thus far, including a number of new boats,’ enthused the organisation’s director, who is proud to have Pierre Casiraghi, Vice President of the Monaco Yacht Club and Richard Mille partner, by his side. ‘I couldn’t possibly have declined such an honour—to sail and spend time in Saint-Barth, while serving as sponsor? I’ve heard a great deal about the island and the event, but I’ve never attended. It’s a splendid opportunity and I can hardly wait! I will be sailing aboard the Maxi 72 Sorcha, participating in the regattas all week. I certainly hope we do well,’ remarked the man in question, whose nautical credentials are nothing to sneeze at. Pierre Casiraghi has a solid track record. He began his regatta career in 2010 aboard Tuiga, the flagship sailing vessel of the Monaco Yacht Club (a 15M JI), and earned his stripes in offshore racing beside the Italian Giovanni Soldini on board the Multi 70 Maserati. He has sailed the highly technical course of the GC32 tour, and, as part of the IMOCA project, Malizia II, will line up this autumn for the start of the next Transat Jacques Vabre, together with his friend Boris Herrmann. ‘Technology provides new perspectives. It makes possible new records for speed and leads to new approaches to navigation. It’s what rivets our attention on what’s happening and ensures we keep challenging ourselves. The boats of today are not the same as those of 10 or 15 years ago. All this keeps us on the ball, which is crucial in our discipline,’ observed Pierre Casiraghi, adding: ‘We are lucky to be in a sport that is constantly evolving, like automobile racing, and that’s great. Each generation gets to feel it is unique.’ This taste for risk, uncompromising standards and exceling oneself are all qualities Pierre finds at Richard Mille. So it makes perfect sense that in Les Voiles de St. Barth Richard Mille he wears the RM 60-01 Regatta, an automatic Flyback chronograph developed for sailing the seven seas.